The fresh smell of a cedar or pine forest may have you dreaming about the log home you always wanted to build. And while it may seem like a log home should cost less to construct -- after all, at surface glance it appears to take less labor to build a log wall than to frame a conventional one -- that's not always the case. The logs themselves represent a substantial investment, and they may require a crane to lift them. Unless you have the expertise to put a home together, expect to pay as much for a log home, if not more, than you would for a conventionally framed one. Log cabin in front of snow topped mountains. 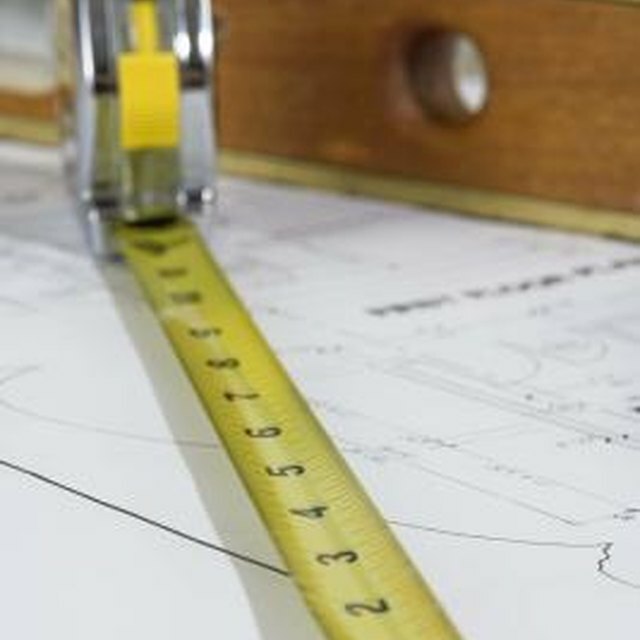 Builders estimate building costs on an overall average per-square-foot cost to build an entire home. But for a log home, this figure varies considerably depending on the complexity of its design, the log product, the region in which you're building, the log-building experience of the contractor, local building codes and regulations and the work you do yourself. Typical costs range between $150 and $200 per square foot, although some builders may quote costs as low as $100 per square foot, and some more elaborate designs may cost well over $200 per square foot, at the time of publication. These estimates do not include the cost of land, permits, power access, water or sewer. The more complex the floor plan and design, the more it costs to build. A simple cabin with four walls and an uncomplicated gable roof falls closer to the low end of the per-square-foot price range. A home with a complicated floor plan, lots of windows or complex rooflines with dormers or multiple gables, ends up in the high end of the price range. Custom designs that deviate from standard plans add to the home's overall price as well. When you build a log home over a full basement, expect to pay more than for one built on a crawl space or slab foundation. The topography of your site plays its part too; a hilly or hard-to-access site makes log delivery, excavation and grading more difficult and increases how much you have to pay. In some places, building codes may permit a small cabin built on a block foundation or concrete piers, both options that can lower the overall building costs. The quality of the finish products you choose for your log home also play a major part in the overall project cost. High-end windows, custom kitchen cabinets, log slab or granite countertops, and light fixtures all add substantially to the home price. The design of the home's mechanical and electrical systems play a role, too, as log homes require some special configuration for the wiring, plumbing or heating and cooling systems. Other factors that affect price include the type of log chosen, such as pine, oak or cedar. If you have some carpentry skills or are handy with tools, log home kits have the logs numbered in the order of assembly, making it easier to put it together when you have the right equipment and a team to lift the logs in place. Another way to save money is to buy logs wholesale based on a simple plan and design. YouTube: How to Build a Log Home by Mitchell Dillman "the Online carpenter"
What Is a Tri-Level House?